The incredible fishery at Isla Blanca is an amazingly diverse environment that offers the fly angler a variety of species to pursue. 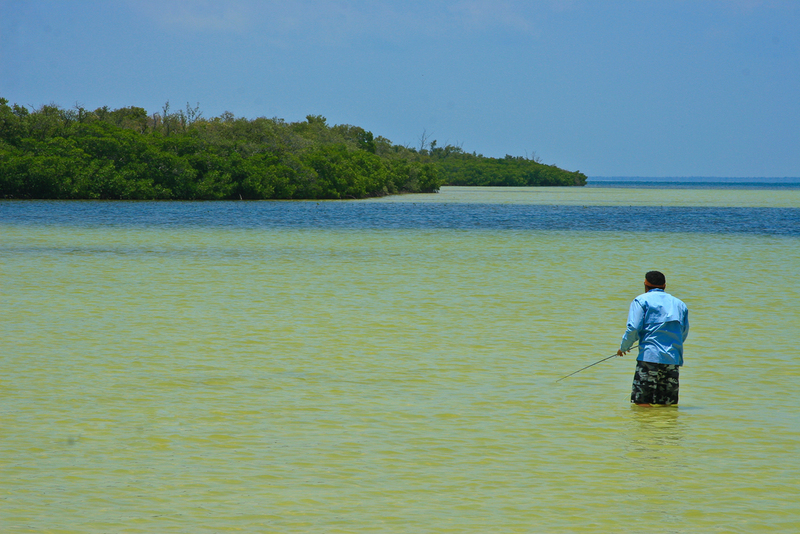 The flats and mangrove lagoons at Isla Blanca are home to an amazing number of permit, baby tarpon, snook, and bonefish. 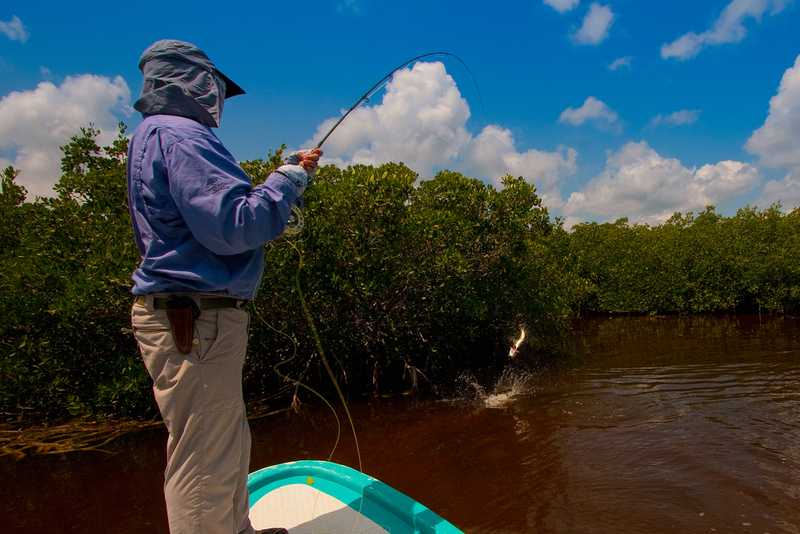 This fact makes Isla Blanca one of the world’s best destinations to achieve a “Grand Slam” – permit, bonefish, baby tarpon all in one trip and, possibly, in one single day! Breakfast-on-the-GO: The private shuttle will pick you up in the lobby each morning between 5:00 – 5:30AM (pre-determined) and drive you to the boat (less than a 20 minute drive). Due to the early start, breakfast will be taken on-the-go and will consist of simple pastries and beverages. Lunch: Lunch is packed in a cooler and taken with you on the boat. Lunches consist of sandwiches, snacks, and assorted beverages. NOTE: The start time of your fishing program may vary during the week. Your guides will determine the program based on the optimum timing of tides and weather. You will fish for 8+ hours.